A Hartford, Connecticut, lawyer during the American Revolution, Ellsworth resolved a major obstacle to approval of the new U.S. Constitution by coauthoring with Roger Sherman the Connecticut Compromise—or Great Compromise—of 1787, which synthesized the Virginia Plan (favoring representation in Congress based on population) and the New Jersey Plan (favoring equal representation for every state). Ellsworth and Sherman proposed a bicameral Congress, in which representation in the House of Representatives would be based on population and representation in the Senate apportioned equally among all states. 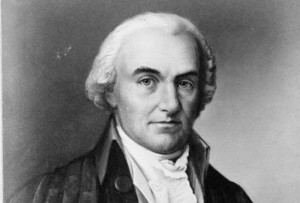 Ellsworth went on to write the Judiciary Act of 1789, which established the federal court system, and he served as the nation’s third chief justice of the Supreme Court (1796–1800).